I received this information which sorts out the military records of the two William Bembrys from Pulaski County, GA from a distant cousin, Jason Bembry. I am sharing it here with his permission. Thanks, Jason! William Bembry, born December 9, 1834, was one of the sons of William Miles Bembry (August 23,1795-April 22, 1839) and grandson of Miles Bembry (c.1770-1838). He served the Confederacy in the 14th Battalion, Company B Anderson’s Battery, Georgia Light Artillery. It seems that he joined this unit in April 1862, almost a year after the war began. He is listed as “William Bembry Sr.” in some lists. He appears on a list in the book, Georgia in the War 1861-1865 by Chas. Edgeworth Jones on pages 56-57. He is listed as a 2nd Lieutenant in Company B also known as the Pulaski Artillery (probably since many of the group came from Pulaski, Ga). William Bembry is also listed in company G, also known as Stonewall Battery which was, according to this source, temporarily consolidated with Dawson’s Battery on March 1, 1863. This source lists Thomas H. Dawson as the Captain of Company B and R. W. Anderson as the ranking Lieutenant. William Washington’s nephew, William Washington Bembry, served in the same unit with the rank of Master Sargent (he is not listed in the book Georgia in the War 1861-1865 since only commissioned officers are listed). The older William Bembry saw action at Chickamauga and died there on Sept 20, 1863. The battery followed closely in rear of the brigade in its charge of the 19th, but did not become engaged. 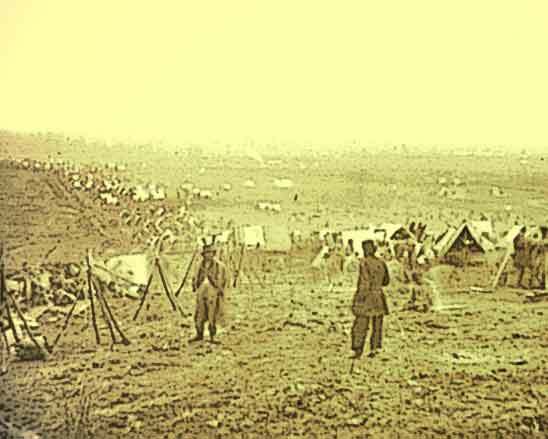 On the morning of the 20th the battery came into position on this ground in front of the brigade, with orders to remain until the enemy’s position was carried, as there was no position for artillery between the lines. The battery remained in this position under heavy fire of the enemy’s artillery and musketry. About 11 a.m. the brigade charged, but the fire from the enemy’s batteries and fortified line of infantry was so intense that it was compelled to retire. During this charge the battery was exposed to a most destructive fire and retired a short distance to the rear for refitting, pulling two pieces off the field by hand. The battery soon returned for duty, but was not again engaged. Casualties at this time; 1 officer killed; 5 men wounded; 15 horses killed or wounded. I also obtained a copy of this marker from the rangers at the visitor center. On the bottom the printout reads Map #130. Both of these markers can be found at the Chickamauga battlefield in NW Georgia by following the Lafayette Road south from the visitor’s center there. Turn left on the Brotherton Road and park alongside the road at the first marked walking trail on the left hand side of the road. Less than100 yds up this trail (heading north) you will see the iron placard and stone marker on the left of the trail. There are a few cannons on display here too. The day we were there it had not been mowed in a while and so the grass and poison oak were pretty high. Buckner’s Corps was under Lieutenant General James Longstreet and the entire Confederate army at Chickamauga was commanded by General Braxton Bragg. Since Dawson’s Battery is listed with the 1st Arkansas Battery it seems as though it had been combined with this group. If we can assume that the older William Bembry’s unit was with Stewart’s Division as early as June 24, 1863, we would be able to chart his movements during the months leading up to Chickamauga. There is a new book that provides a day by day account of the Tullahoma Campaign up to Chickamauga (June 22-Sept 23, 1863) entitled, The Maps of Chickamauga by David A. Powell and David A. Friedrichs. In this book we might be able to follow the steps of Bembry’s artillery unit during the summer before he died. According to the ranger at the Chickamauga visitor’s center, all the Confederate soldiers who died at Chickamauga were buried in shallow graves on the battlefield. After the war the state of Georgia made an effort to move the bodies to a cemetery in Marietta, Ga. Virtually all the bodies were unidentified and so we cannot know where William Bembry’s body was interred. Concerning William Washington Bembry, the nephew of William Bembry the elder, I found this from a Pulaski County, Ga genealogy website. This website also lists a cemetery plot for William Washington Bembry born Sept 21, 1844 died August 3, 1864. Another website lists William Bembry Jr. as joining the 14th Battalion, Company B Anderson’s Battery, Ga. Light Artillery CSA on April 26, 1862 and has him discharged for disability on April 10, 1862. This must be a typo of some sort since this would have him discharged before he joined. I suspect the discharge date should be 1864 or 1865 if we combine this with the quote mentioned above that says he served 3 years before being taken prisoner.